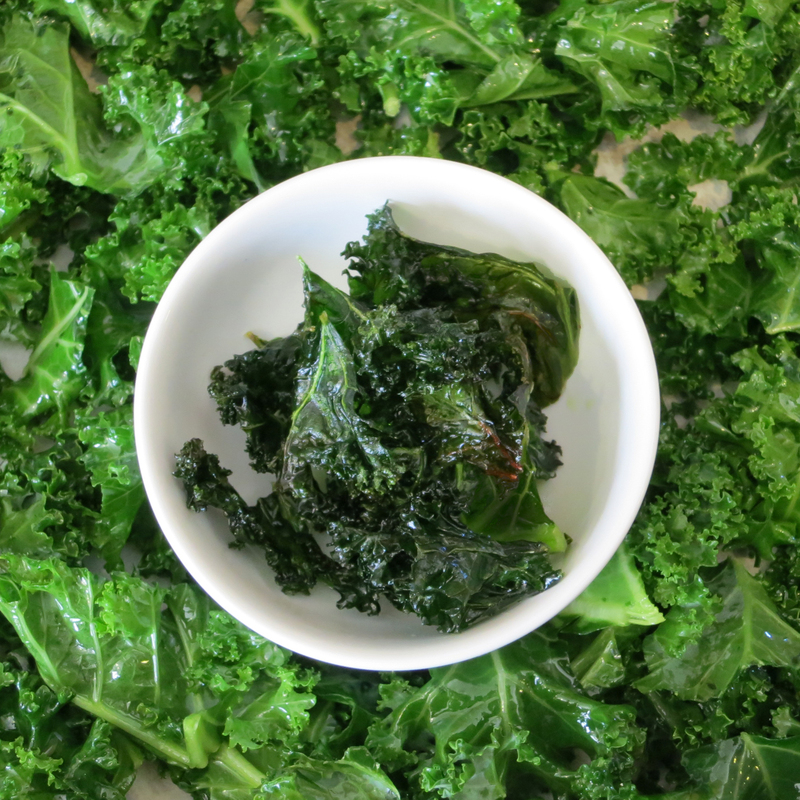 *My kids went crazy for these kale chips. They are so yummy - great on salads or just right out of the bowl! I know, this doesn't sound amazing, but it really is. A must try! *I used prepackaged Cut N' Clean Kale, which makes this oh so much faster! The kale's already rinsed, dried, & chopped. Simply remove any pieces of stem. I found this product at WalMart. 2. Line baking sheets with parchment paper. 1lb of prepared kale will take three or four baking sheets. 3. Spread the kale out on the baking sheets. Drizzle the olive oil lightly over the kale. Toss until the kale pieces are completely coated. Spread the kale out into an even layer. Sprinkle generously with salt. 4. Bake until the edges are lightly browned. This takes about 12-17 minutes, but you should start checking at 10 (smaller chopped kale will get done faster). 5. Transfer the kale to parchment or paper towels, spreading into an even layer, to cool completely. Serve!